We help legal professionals work faster, more securely and we make regulatory compliance easy. We work with law firms worldwide, from 5 person practices to magic circle firms. Get up and running in 30 minutes. Improve the speed and efficiency of your deals. Work faster with clients and colleagues. Real time co-authoring, no Office 365 or IT to install. Send huge files super securely. GDPR compliant. Revoke access. 24/7 helpdesk, 2 hours free consultancy per month included. Set up your data room in minutes with full one to one training to help get you started if you need it. Projectfusion helps you close your deals faster and with maximum security. Protect your documents with our fast and secure viewer which can load a monster 100mb document in just 3.9 seconds. Our Q&A module will save you time helping you manage thousands of questions securely in one audited environment, there’s also a simple one page permissions screen to help you manage who can see each file and folder. Projectfusion has been built with simplicity in mind so it’s easy for everyone to use with no installs or plugins required. How can Projectfusion help you? Shopping around to set up a data room at the last minute for clients causes stress and errors. With Projectfusion, you can set up a data room in seconds, brand each page with your own branding and logo (or your clients branding) or both. Drop images, video, your Twitter feed, or any other multi-media files into your welcome pages. Create an engaging, informative, image-rich site. Data rooms have never looked so impressive! Choose unlimited users or unlimited data, and create different sub-sites for different projects and deals. You can even give each of your clients their own space to prepare for the deal. Our document co-authoring platform is an incredibly fast and effective way to produce documents with others quickly and securely. We’ve developed the only online document co-authoring service that allows anyone – internal or external – to work together on documents, without downloads, and without an Office 365 or Google account. All you need is your browser. Piles of old paperwork are no problem either. 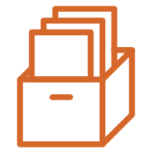 We can unobtrusively come on-site and scan thousands of documents securely, and upload these to your data room as fully-indexed and easily-searchable pdfs. We’ll even remove post-it notes and staples for scanning, and either return the documents to their original state after scanning, or securely destroy them for you. Work in Word, Excel or Powerpoint. The familiar track-changes function lets everyone feed back in the same Master document, which never leaves our cloud. No more precious time lost looking for the latest version, waiting for replies, and collating everyone’s input. It is ultra-secure, GDPR-ready and compliant with DPA and SRA security guidelines. Our legal customers use Projectfusion to collaborate on documents quickly, efficiently and securely, all with full regulatory compliance and an audit trail. Projectfusion is unique in that we can offer our clients data rooms, document collaboration and ultra-secure file in one seamless package. There’s no Office 365 or Google accounts and no software downloads. All you need is an internet browser. We’re trusted by many of the world’s major professional services firms to help them securely exchange files and data with anyone, inside or outside the firm. Our legal clients include Clyde & Co, Hugh James, Morrison & Foerster, Russell Cooke and Watson & Burton. Safedrop is our super-easy way of sharing files and messages ultra-securely with anyone with an email address. The full audit trail shows you all activity and downloads. You can easily send very large files (up to 5GB) or thousands of files, in one hit. You can add safedrop to your data room easily. No passwords. Recipients get a magic link instead. Much, much easier. Self destruct & expire. All messages expire are then deleted from our servers. You can also choose to self-destruct the message once it’s read! Audit trails – Full audit trails show all activity and downloads. We send you a copy by email too. Integrations available for Zylpha, Visual Files, and iManage is coming. Projectfusion data rooms, real time collaboration and secure file sharing can work together seamlessly or be bought on their own as stand-alone solutions. Enterprise-level security: Projectfusion is IS0-27001 accredited, meaning the highest levels of security are applied to our servers and procedures at all times. Fast and simple: rapid setup and no software downloads. Full reporting and compliance: generate real time reports and audit trails of usage. Granular permissions: set permissions to read-only, download, print and edit to individuals. Mobile friendly: use Projectfusion on any device at any time. No downloads, all you need is your browser. Your own branding: Projectfusion data rooms, collaboration and safedrop can all be branded with your logo, themes, custom url and even your Twitter feed. Share and store huge files securely. All activity in our data rooms is anonymous by default. Users don’t even know that other users or sites exist. and break it down either by individuals, or by company. See who is really interested in closing the deal! Projectfusion’s unique one page index document shows the whole site on one page and even has a document count. 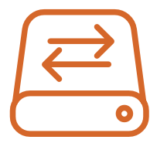 Setup rules and workflows to automatically process documents on upload and make life easier. Every action is recorded in a tamperproof log file, from comments, to searches and logins. You can even export the report to Excel. All of our annual clients get their own private cloud with their own firewall and URL. Choose our encrypted SecureView previewer to allow only on screen viewing for bidders, complete with dynamic watermarks, IP addresses, timestamps and usernames. Everything is encrypted at rest and in transit. The highest levels of security are applied to our servers including regular 3rd party audits, Intrusion detection, regular nessus scans, regular patching, staff screening (BS7858), server access restrictions and 128 bit SSL encryption on all data transfers. We have over 15 years experience of keeping IT teams happy. Our entire supply chain including our support team is ISO27001 accredited. Our superb UK & US based support team will respond to you within 15 minutes by phone, email, or in-app live chat. We provide full one to one training online. We can even help you get started by uploading your files for you. Easily control access into the data room using our one screen overview. Revoke or change access with just one click. Just drag and drop files into your browser. 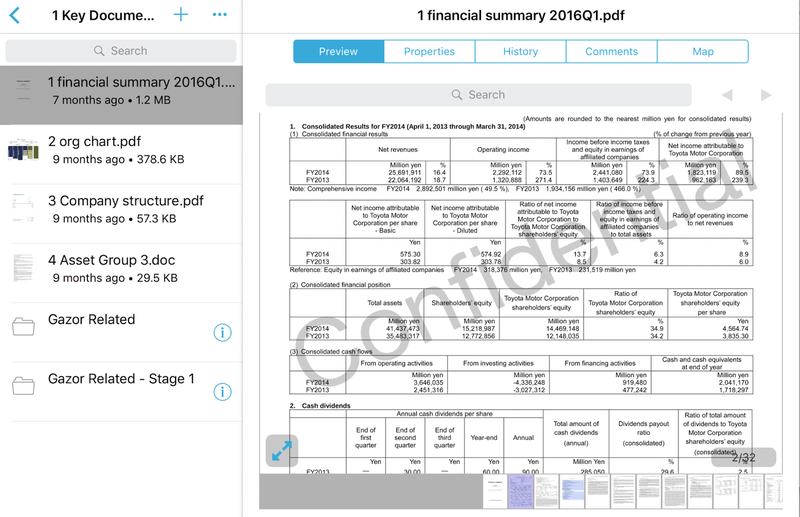 If you’ve got thousands of files, we have an app for that. Are users able to see each other? No – users are not able to see each other (required for most M&A). All content and activity is anonymous. What accreditations does Projectfusion have? Projectfusion is accredited to ISO27001, we take security seriously. Our system has helped facilitate thousands of secure file shares. The highest levels of security are applied to our servers including regular 3rd party audits, Intrusion detection, regular nessus scans, regular patching, staff screening, server access restrictions and 128bit ssl encryption for all data transfers. All multi deal clients get their own server and firewall. At any time your administrators can download files, folders, Q&A, and wiki entries using a WebDAV or CMIS client. Files and folder structures will be maintained and files downloaded in their native format. We can also arrange for a copy of your data and audit trails to be couriered to you on DVD or encrypted USB drive if you’d prefer us to download the data for you. All data is backed up daily and protected with military grade encryption. It is then stored in a different data centre. Each data room maintains a recycle bin which administrators can use to restore deleted files. We maintain disaster recovery plans to cover most (we hope all!) eventualities. All live data is stored and processed in the UK with AES256 encrypted backups being stored in Dublin. How much data can Projectfusion hold? We can hold and protect as much data as you need. Just let us know what you need. Just get in touch with our friendly team for an online demo, free trial or pricing information. When you’re ready to get started, we can have you up and running in as little as 30 minutes. Why not use a standard file sharing platform for M&A? Standard file sharing platforms are intended for simple file sharing. 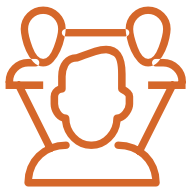 Projectfusion offers complete document control with different permissions for different users. You can change access quickly if the deal terms change, or shut down access immediately if the deal is called off. How do I access Projectfusion? You can access Projectfusion through any modern web browser, or by using one of our apps. How quickly can we switch to Projectfusion? Projectfusion’s services are hosted in the cloud, we’re ready to go when you are. We can get your service set up in as little as 30 minutes, there are no installations to worry about. Then, depending on how much data you are migrating, your data room can be ready to use from a few hours to a couple of days.